Wearing your gun while driving is not always the most comfortable thing to do. Do you have a road trip planned? In the car for 6 hours with any carry position is going to leave you a bit worse for wear. A car holster, of course! A holster for your car can go by different names and come in many different styles. Some may call them holsters, others call them safes, and others may call them a lockbox. For this article, I will talk about holsters. 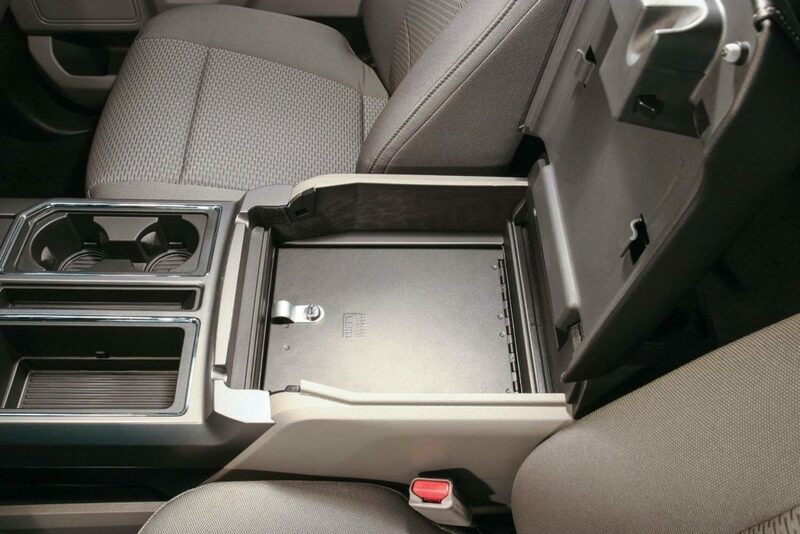 What is the difference between a holster and a safe for your car? Well, a holster is for carrying or transporting your concealed carry weapon, a safe is for storing it for a longer term, like while you are at work. A holster is temporary and allows for easy access in the event you need your gun for protection. This is what we will be talking about; different styles and what people seem to like. Picking a holster for your on-body carry can take several purchases before you find one you like. Hopefully, this post will help you narrow the choices and find something you like quicker. As with most gun laws, you will want to check the specifics for transporting a handgun in your state. Some are more strict about how you can carry off-body than others. It’s up to you to know the laws in your state or the state you are traveling in…check out our Gun Laws By State section for more. A lot of people are pretty handy when it comes to MacGyvering up things to solve a problem. There are a lot of cool tutorials out there telling you how to make something that will work. Usually, this is taking a holster and modifying it for mounting it in your car. If you DIY, do it safely! The other option is to buy a gun holster for your car that’s made for that purpose. Sometimes these are more generic and other times you can get a vehicle specific car holster. Let’s talk about both options and the pros and cons. 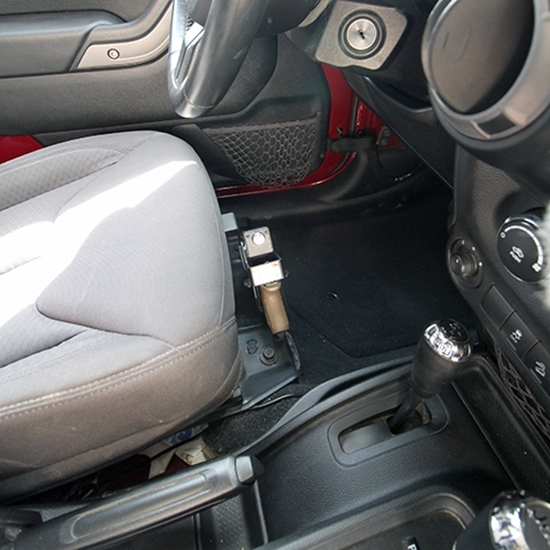 A DIY pistol holster is generally a modified holster mounted to your center console or door. Some things to consider if you are going the DIY route. If you are right-handed and mounting the holster to your center console, you will need a left-handed holster. This makes sense if you think about it. If you are right-handed and you want to draw the pistol with your right hand. In the US, the driver is on the left side of the vehicle and the console is to your right. To mount the holster, it needs to face the correct way. 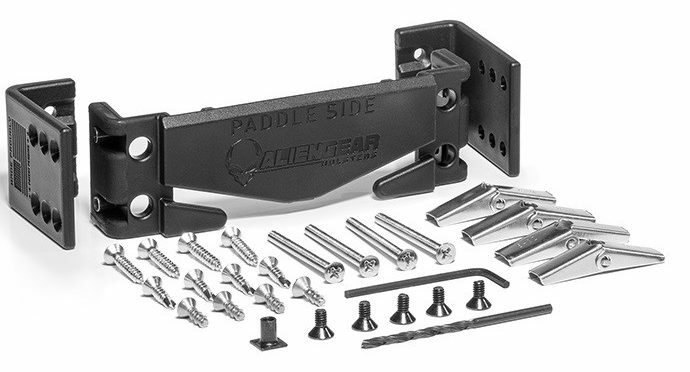 On a left-handed draw holster, the mounting screws that would normally hold the holster to the paddle or leather or belt clip are on the correct side to mount it to a console. Still with me? Holsters need to have good retention so your pistol will not fall out if you hit a pothole or something worse. Just like when carrying your CCW on-body or in a bag, the holster you choose needs to hold the gun at any angle. You also want to make sure it’s not too tight that you can’t quickly access your weapon if needed. Don’t use a level 3 or similar holster with the finger release. While these holsters can be great for making sure your gun stays in place and they help you maintain good trigger safety on your draw, they fail the car holster test. Simple anatomy. 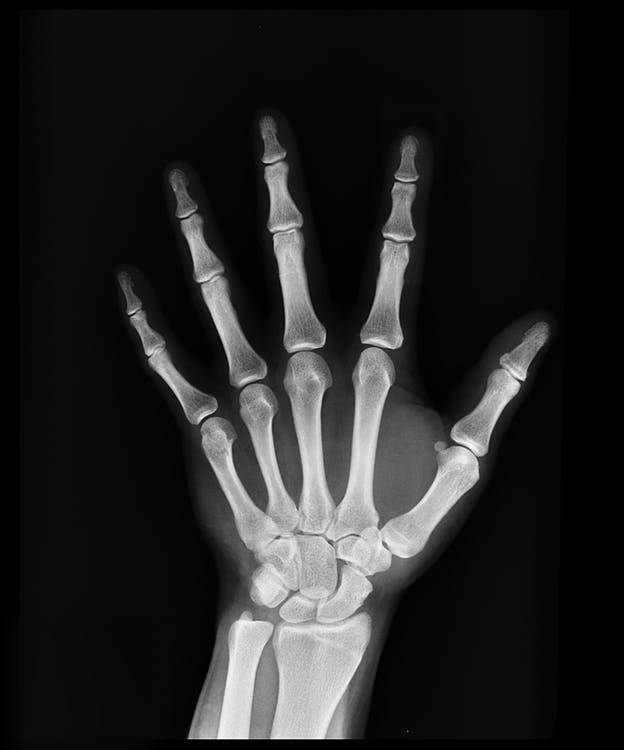 Your thumb is shorter than your index finger. If you look closely…you can clearly see that the thumb is shorter! Its placement on your hand makes it difficult to draw your gun in these style holsters when they are mounted to the outside of your console. The application-specific holsters come in many different styles. There are also vehicle specific car holsters. One thing to note with vehicle specific options is you are going to be limited in the placement. In some cases, these holsters have the characteristics of a safe. Console Vault make vehicle specific safes. These attach to the pocket in your console without modification. These vaults are not specific to guns, so you can lock your wallet, or watch or whatever you’d like in there. They have a lot of models, so there is a good chance there is one for your vehicle. After picking the one that fits your car, you need to choose the lock style. There are options for barrel keys and combination locks. This is a little more obvious, but some of the companies who supply police equipment have these style “holsters”. 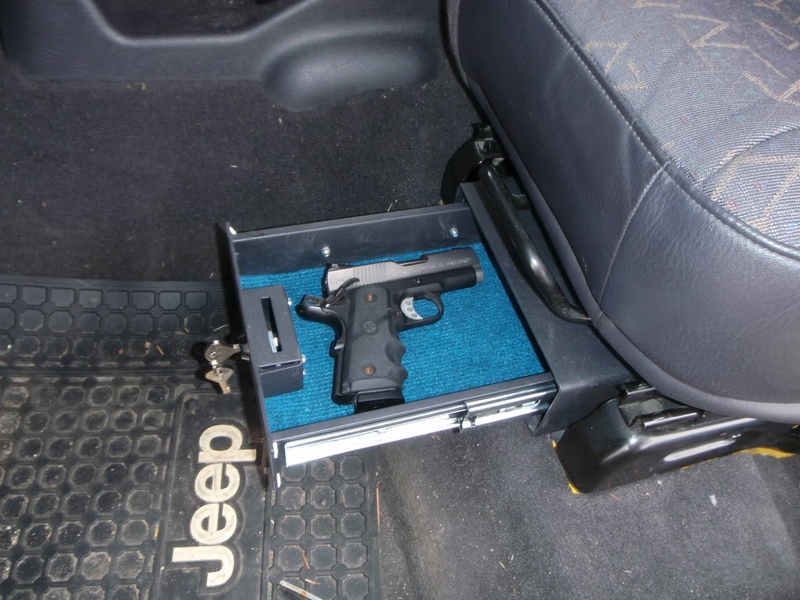 They typically mount through or to the vehicle and offer a secure way to store your handgun. 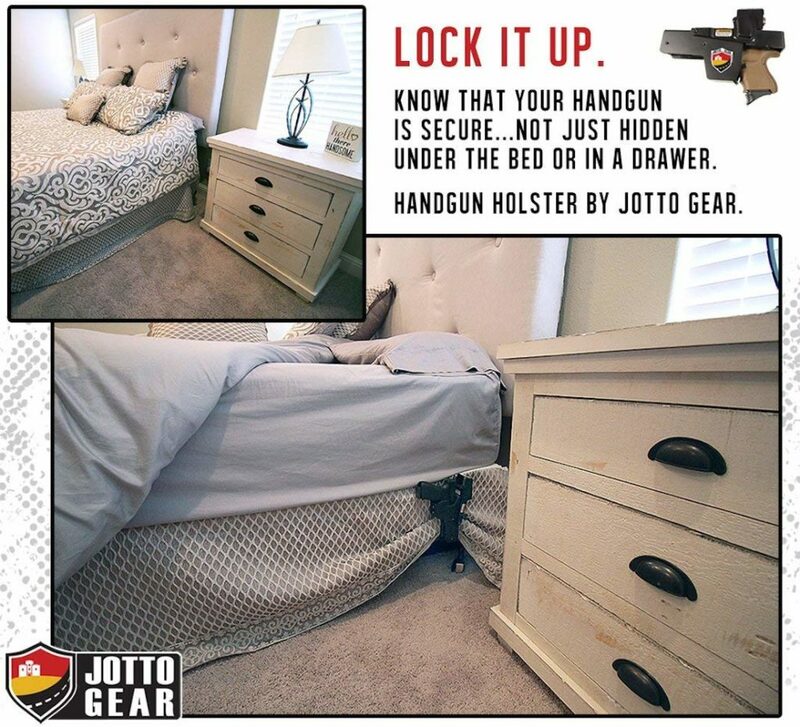 They also make great mounting options for securing your firearm in other places also, such as to a bed frame or under a desk. What’s your take on the Steel Holster? The seat strap gives you a way to have a gun easily accessible right between your legs. You’ll see variations of them, but they usually wrap around the seat in some fashion and place the holster in an easy to access spot. Since the gun is right in front of you and you’ll have to move your leg over it to get out, you aren’t likely to forget your gun in the car. Other options are out there if you want to try them. 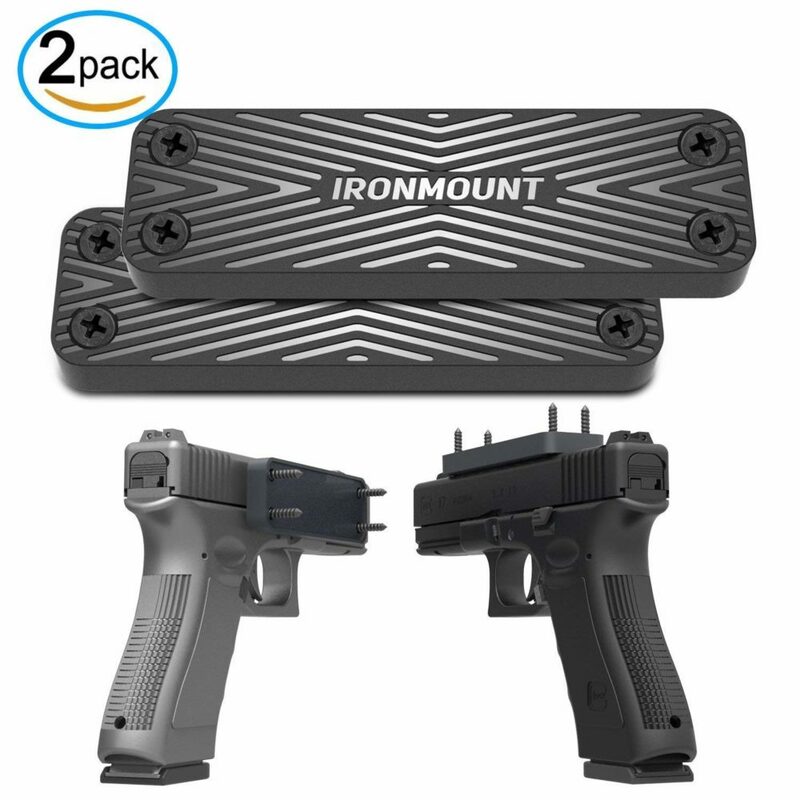 Some manufacturers make holsters where you can take the holster off one mount and use it on another. Alien Gear Holsters and BlackHawk Holsters are two that come to mind. The holsters are modular so you can have a paddle holster one day then an IWB the next. Having this flexibility also lets you use a mount like this, for your OWB holster, in your vehicle or in your home to attach your holster. We’ve reviewed Alian Gear holsters before and liked them a lot – check out the Complete Slickguns Review! When I first saw magnetic gun holders, I was skeptical. I mean, how is a refrigerator magnet going to hold your gun up. But, a guy I worked with had one and let me tell you, it holds the gun tight. You can mount them anywhere with a few screws and they aren’t obvious like some other holsters are. Placement is a big consideration. You need to make sure you can draw your gun quickly and easily if you need it. That is first and foremost. Second, having it somewhat concealed is ideal. If someone walks up to your car and sees you have a holster in plain sight, they could follow you home break in while you aren’t home to try to get your other weapon(s). Third, a secure mounting location is important. Flimsy plastic may work for a while, but it will crack or let the screws loose after a while. Then, you’ll have to remount it and make more holes. Carrying a gun in off-body in your car will take some getting used to. You will need to for the habit of remembering to take it with you EVERY time you exit the vehicle. If you forget and your vehicle holster is out there in plain sight, it’s an easy smash and grabs for the person who sees it. You will want to train in your vehicle too. You’ll want to practice your draw and how you will fire your weapon. You’ll have to grab from the right side and pivot to the left to acquire your target. Also, practice drawing and acquiring a target on the passenger side or out the windshield. Take a look at the Center Axis Relock method of pistol handling, it was designed in part as to be used from a car and is a great tool to have in your training kit. You can watch this video for an idea of how the transition works. 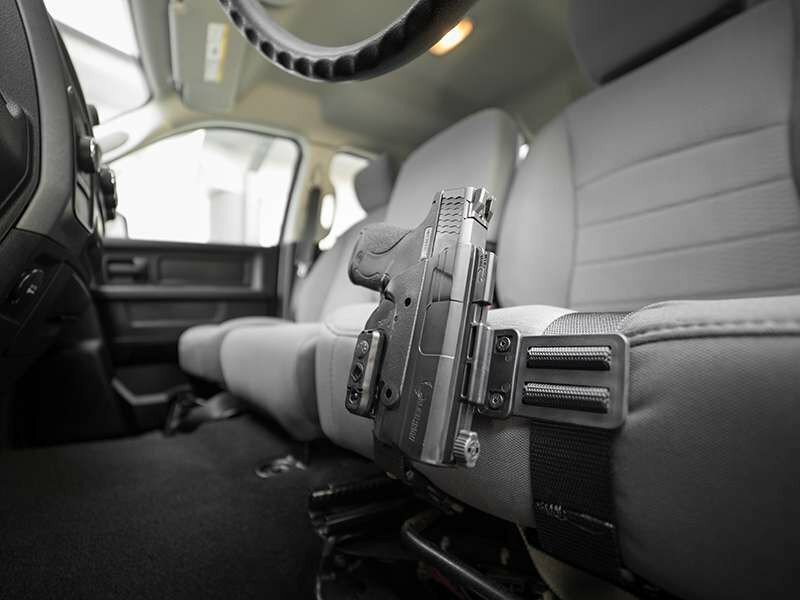 Do you have a holster mounted in your vehicle? What did you decide to do? Let us know in the comments! Check out more in our Concealed Carry section when you’re carrying on-body. The post Best Car Holsters: DIY & Specific Purpose appeared first on Pew Pew Tactical.